November | 2017 | US Registries LLC. What are the Benefits of IIoT? One of the issues encountered in the transition to the IIoT is the fact that different edge-of-network devices have historically used different protocols for sending and receiving data. While there are a number of different communication protocols currently in use, such as OPC-UA, the Message Queueing Telemetry Transport (MQTT) transfer protocol is quickly emerging as the standard for IIoT, due to its lightweight overhead, publish/subscribe model, and bidirectional capabilities. You can read more about MQTT here. Interoperability and security are probably the two biggest challenges surrounding the implementation of IIoT. As technology writer Margaret Rouse observes, “A major concern surrounding the Industrial IoT is interoperability between devices and machines that use different protocols and have different architectures.” Ignition is an excellent solution for this since it is cross-platform and built on open-source, IT-standard technologies. Companies need to know that their data is secure. The proliferation of sensors and other smart, connected devices has resulted in a parallel explosion in security vulnerabilities. This is another factor in the rise of MQTT since it is a very secure IIoT protocol. The IIoT is widely considered to be one of the primary trends affecting industrial businesses today and in the future. Industries are pushing to modernize systems and equipment to meet new regulations, to keep up with increasing market speed and volatility, and to deal with disruptive technologies. Businesses that have embraced the IIoT have seen significant improvements to safety, efficiency, and profitability, and it is expected that this trend will continue as IIoT technologies are more widely adopted. 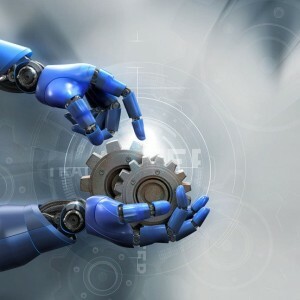 The Ignition IIoT solution greatly improves connectivity, efficiency, scalability, time savings, and cost savings for industrial organizations. It can unite the people and systems on the plant floor with those at the enterprise level. It can also allow enterprises to get the most value from their system without being constrained by technological and economic limitations. For these reasons and more, Ignition offers the ideal platform for bringing the power of the IIoT into your enterprise.